Airport transfers can be frustrating experiences especially when you don’t know which transport service to trust for the job right. When you are rushing to get to the airport or are tired from a long flight, you want a vehicle service that offers reliability, comfort and expediency. Our taxi service provides all these and more. 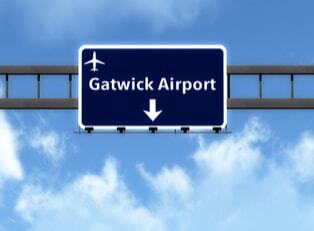 When you require a Brighton to Gatwick taxi, contact us for professional and quality services. In the years we have been providing taxi service for airport transfers, we have learnt to anticipate our customers’ needs and, therefore, tailor our offerings to meet them. Your transport from Gatwick airport comes with a meet and greet, so you don’t feel lost or stranded once you arrive. We strive to make every passenger comfortable during the journey. 518 Travel Taxi Service monitors the flight times of our clients to avoid tardiness. It can be frustrating to pre-book an executive airport transfer then have to wait for the driver to show up at the airport. Additionally, if your flight is not on time, we don’t charge extra. Our vehicles are available in various makes, models and capacities to cater to a variety of requirements, whether you are travelling alone or as a group. 581 Travel Taxi Service recruits the best drivers and other staff members. You can expect the maximum safety when using one of our vehicles because our drivers are well-trained and up to date on every regulation. We understand how fundamental safe transportation is, and that is why our fleet undergoes regular and rigorous maintenance to keep vehicles in tip-top shape. You won’t have to fret over a car breaking down as you journey from Brighton to Gatwick aiport. If you have a child, we carry a range of baby seats to ensure safety and comfort. 17 + 10 = ?